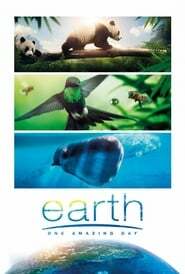 Mountain An experience about the highest peaks around the world. Furious In the 13th century, an amnesiac soldier vows to get his revenge on the Mongol army that ransacked his village. Backstabbing for Beginners A young program coordinator at the United Nations stumbles upon a conspiracy involving Iraq’s oil reserves. The Fifth Estate A dramatic thriller based on real events that reveals the quest to expose the deceptions and corruptions of power that turned an Internet upstart into the 21st century’s most fiercely debated organization. Mandela: Long Walk to Freedom A chronicle of Nelson Mandela’s life journey from his childhood in a rural village through to his inauguration as the first democratically elected president of South Africa. Winchester Ensconced in her sprawling California mansion, eccentric firearm heiress Sarah Winchester believes she is haunted by the souls of people killed by the Winchester repeating rifle. The China Hustle An unsettling and eye-opening Wall Street horror story about Chinese companies, the American stock market, and the opportunistic greed behind the biggest heist you’ve never heard of. 12 Strong 12 Strong tells the story of the first Special Forces team deployed to Afghanistan after 9/11; under the leadership of a new captain, the team must work with an Afghan warlord to take down for the Taliban. Chrisye Film biografi Indonesia berjudul “Chrisye” ini merupakan film yang bercerita tentang kisah dari kehidupan dari seorang penyanyi pop legendaris Indonesia dengan deretan-deretan lagu hitsnya yaitu Hendra Chrismansyah Rahadi atau lebih dikenal sebagai Chrisye di dunia musik. Dengan perjuangan hidup dan cintanya terhadap musik, Chrisye menginspirasi kita semua untuk tetap terus meneruskan mimpi serta memajukan masa depan musik Indonesia. The Greatest Showman Celebrates the birth of show business, and tells of a visionary who rose from nothing to create a spectacle that became a worldwide sensation. The Challenger Factual drama exploring the truth behind the space shuttle Challenger's 1986 disintegration. The Man Who Invented Christmas The journey that led to Charles Dickens' creation of "A Christmas Carol," a timeless tale that would redefine Christmas. Padmaavat Set in medieval Rajasthan, Queen Padmavati is married to a noble king and they live in a prosperous fortress with their subjects until an ambitious Sultan hears of Padmavati's beauty and forms an obsessive love for the Queen of Mewar. Jackass: The Movie Johnny Knoxville and his band of maniacs perform a variety of stunts and gross-out gags on the big screen for the first time. Final Portrait The story of Swiss painter and sculptor Alberto Giacometti. Jodhaa Akbar A sixteenth century love story about a marriage of alliance that gave birth to true love between a great Mughal emperor, Akbar, and a Rajput princess, Jodha. Mohawk Late in the War of 1812, a young Mohawk woman and her two lovers battle a squad of American soldiers hell-bent on revenge. Spielberg A documentary on the life and career of one of the most influential film directors of all time, Steven Spielberg. The Founding Of An Army The foundation of CCP army in 1927, Nanchang, Jiangxi Province. 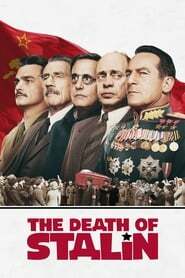 The Death of Stalin Follows the Soviet dictator's last days and depicts the chaos of the regime after his death. Cuba and the Cameraman Life in Cuba for three struggling families over the course of 45 years, from the cautious optimism of the early 1970s to the harrowing 1990s after the fall of the Soviet Union and the 2016 death of Fidel Castro. My Friend Dahmer A young Jeffrey Dahmer struggles to belong in high school. 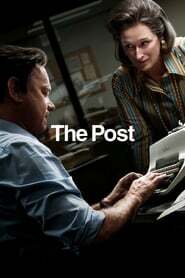 The Post A cover-up that spanned four U.S. Presidents pushed the country's first female newspaper publisher and a hard-driving editor to join an unprecedented battle between the press and the government. Only the Brave Based on the true story of the Granite Mountain Hotshots, a group of elite firefighters who risk everything to protect a town from a historic wildfire.